Strength of the force just over 300 and some volunteers. Despite reports of increased crime in Sligo-Leitrim it has been revealed that only 18 of the total cohort of newly trained gardai were assigned to the region between 2015 and March 2018. The total strength of the force in the region is currently at 303 and some voluntary service individuals. Figures from the Central Statistics Office show there was a significant rise in assaults, burglaries and rapes or sexual assaults in the Sligo – Leitrim Garda Division in 2017. 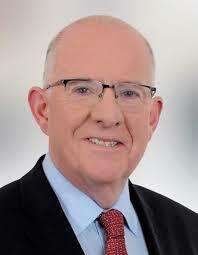 Justice Minister Charlie Flanagan said his Department has a plan in place for a national garda force of 21,000, including volunteers, by 2021 but made no committment to increase garda numbers on the ground in Sligo-Leitrim. The purchase of a site for a new Garda headquarters at Caltragh is said to have been finalised. However, no application for planning approval has been lodged to date.